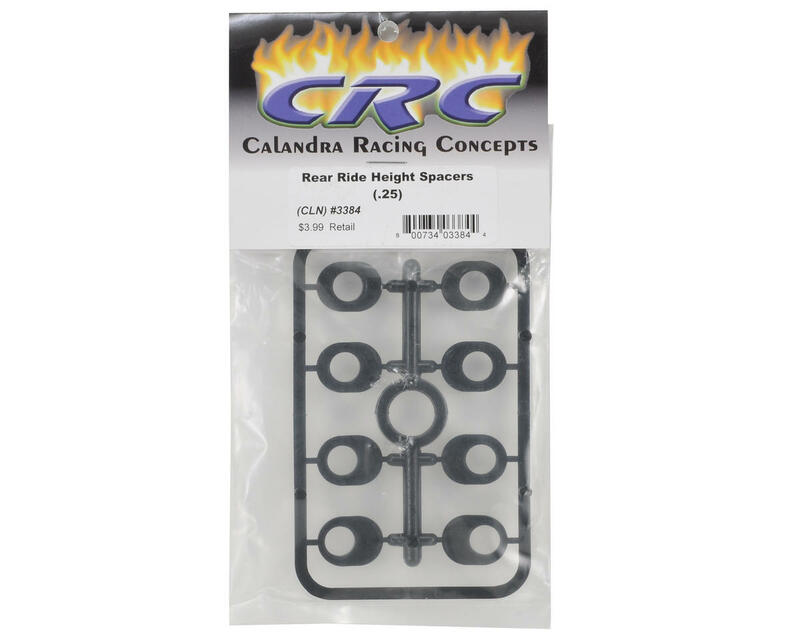 This is an optional CRC 0.25mm Rear Ride Height Spacer Set, and is intended for use with the CRC Gen X and Gen X 10. These can also be used with other pan cars, like XRAY, Team Associated and Serpent. Pan car racers can now keep that rear ride height fine tuned with these rear ride height spacers in 0.25 mm increments. Foam tires wear a little bit each and every run, and now with these nice small steps in ride height, you can keep your car passing tech and handling consistently throughout the entire race day. 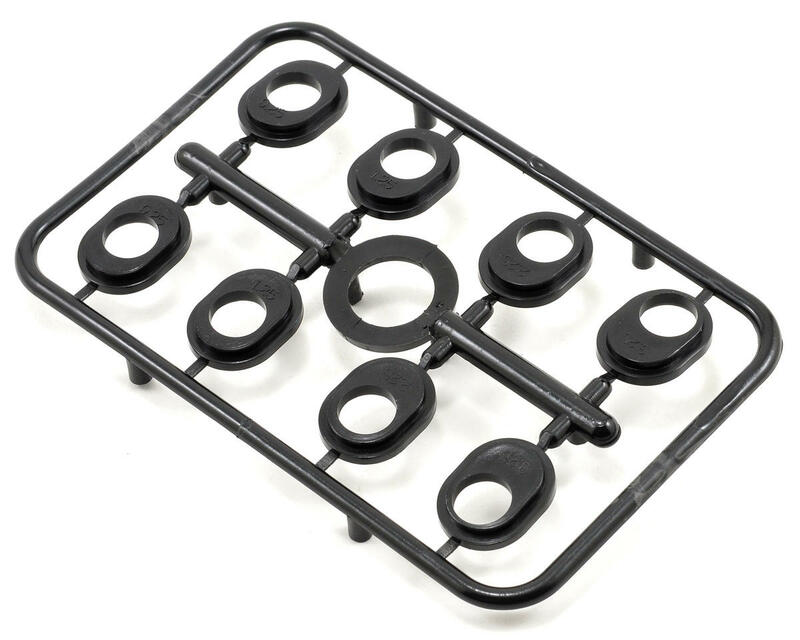 Each tree of inserts is available individually so you can just get the ones you need, or you can get them in a complete set if you don't have any at all yet, and/or want to use them on a different brand of pan car.